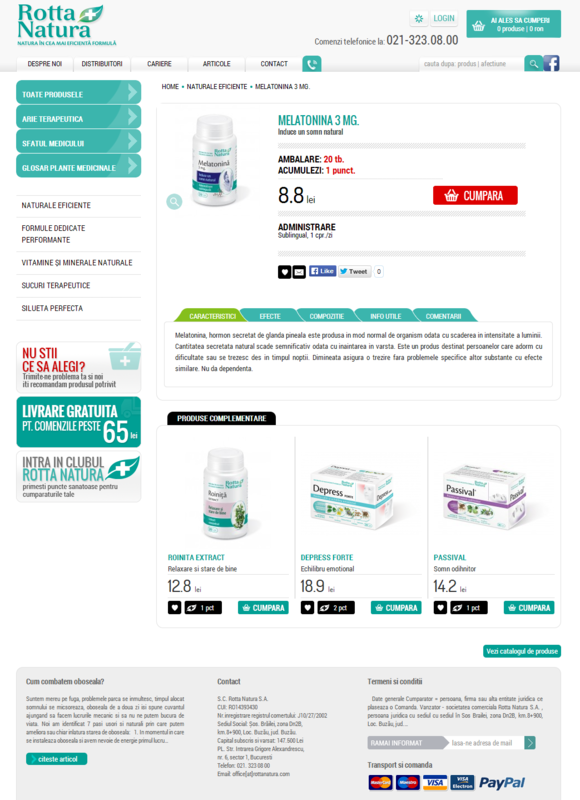 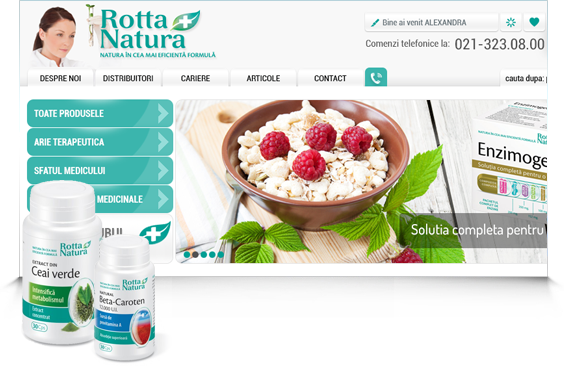 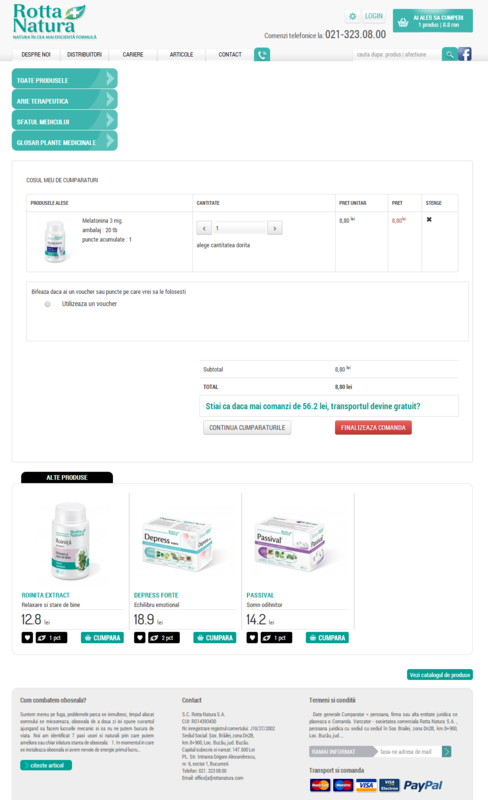 The online store is built for Rotta Natura, a company producing natural supplements for a longer and healthier life. 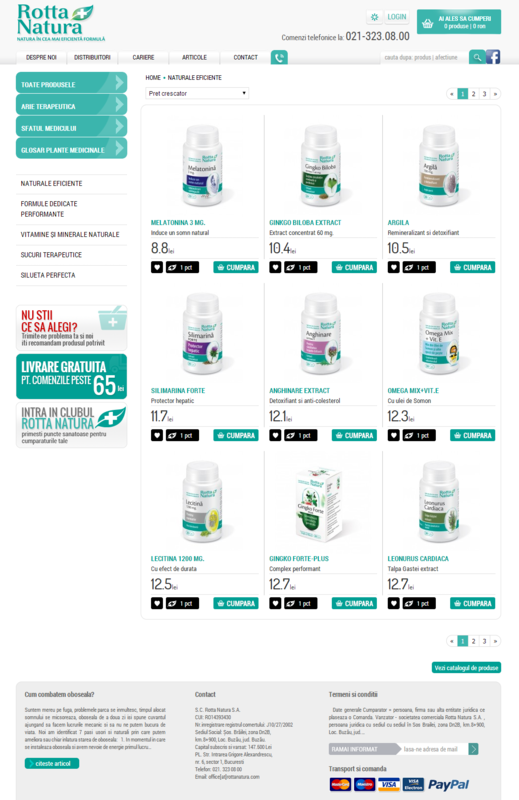 Having a well established brand in offline, the online store brought Rotta Natura in online, becoming a great conversion tool. 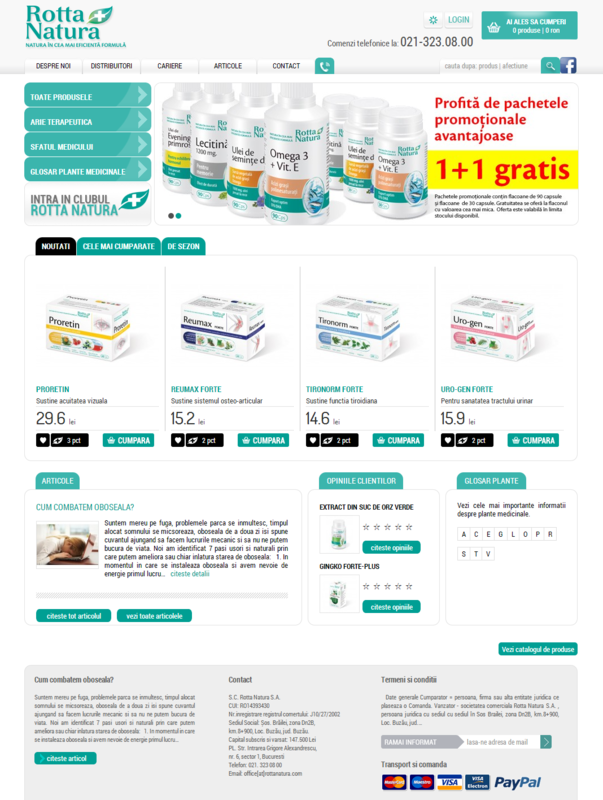 A custom developed solution for specific product presentation, the online has quickly become an important portal of new clients and a very efficient tool for the existing clients.